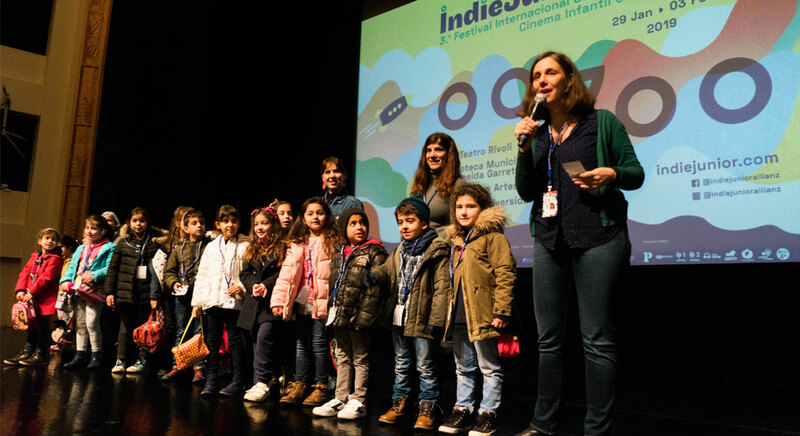 On its third edition, IndieJunior Allianz – International Children and Youth Film Festival of Porto managed to show signs of growing again. More than 6100 visitors attended the event throughout its 6 days and visited the many venues that the festival was held at, with an increase of 900 visitors compared to 2018’s edition. Between January 29th and February 6th, a total of 4584 students, from district schools, attended the festival screenings for ages between 3 and 18. It should also be mentioned that there was a significant increase in number of visitors at the screenings dedicated to the family (1542 attendees) and that the lap cinema screenings, on their first edition, sold out the six scheduled screenings. To close the calendar for this year’s IndieJunior Allianz, Casa da Música held a film-concert on February 15 and 16. Mundo Animado proposed a session of live composing of soundtracks for two classic short films by Charlie Chaplin and Buster Keaton. The poetry of the old silent film was reinterpreted by musicians António Serginho, Óscar Rodrigues and Pedro Cardoso.